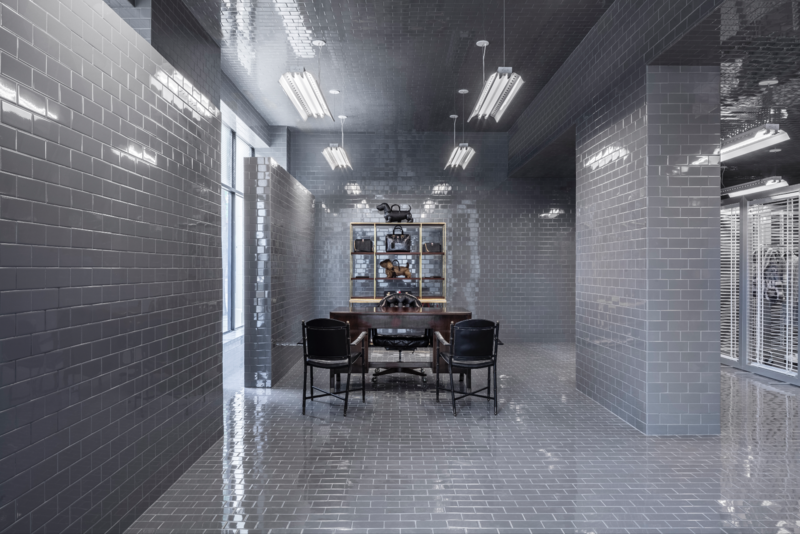 Fashion designer Thom Browne announces the opening of his second freestanding store in the US in Miami’s Design District. Known for his innovative takes on traditional tailoring, Browne has been recognised for his craftsmanship and was last year’s recipient of the FIT Couture Council Award. This new store, created in collaboration with architect Flavio Albanese of ASA Studio Albanese, spans 3,000 sq ft and features grey subway tiles, a mobile wall installation and mid-century furniture by designers including Pierre Jeanneret, Paul McCobb and Maison Jensen.